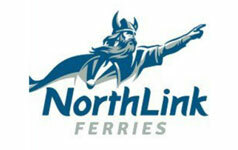 NorthLink Ferries is a private sector company, predominantly funded by the Scottish Government, and providing a lifeline ferry service to the Orkney and Shetland islands from the Scottish mainland (Aberdeen and Scrabster). The company operates five ships and has a turnover of about £70m. NorthLink Ferries initially contacted Ashworth Black to discuss the implementation of a formal pay structure as part of its HR strategy which included the objective of attracting and retaining motivated staff to deliver these crucial lifeline services. A formal pay structure for staff in Aberdeen, Orkney and Shetland to increase retention as well as showcase the organisation as a fair employer, which in turn helped attract new staff. To ensure that resolving these HR related issues were considered in the context of the organisation’s overall customer focused strategy. Ashworth Black undertook a range of activities including job evaluation, salary benchmarking to ensure competitive pay for all employees, design of a new pay structure and importantly a performance management system centred on an individual’s contribution to the achievement of the business goals. As a result, potential differentiation issues, recruitment and retention are no longer issues. Recognising the success of this pay and reward review, Ashworth Black was asked to assist with the roll-out of a similar strategy to Sea Going Crew, which included the development of a behaviour framework and performance management training for managers to further enhance customer service. Ashworth Black continues to provide consultancy support to NorthLink.